The proposed changes amount to a broad expansion of the government’s ability to deny visas or residency to immigrants if they or members of their household benefit from programs like Medicare Part D or the Supplemental Nutrition Assistance Program (SNAP). The Trump administration will make it much more difficult for immigrants to come to the United States or remain in the country if they use or are likely to use housing vouchers, food subsidies and other “non-cash” forms of public assistance, under a new proposal announced Saturday by the Department of Homeland Security. U.S. immigration laws have long contained provisions limiting foreigners who are likely to be dependent on financial aid and therefore a “public charge.” But the proposed changes amount to a broad expansion of the government’s ability to deny visas or residency to immigrants if they or members of their household benefit from programs like Medicaid Part D, the Supplemental Nutrition Assistance Program (SNAP) or Section 8 housing vouchers. The proposal will publish in the Federal Register in the coming weeks, according to DHS, triggering a 60-day public comment period. “After DHS carefully considers public comments received on the proposed rule, DHS plans to issue a final public charge rule that will include an effective date,” the agency said. DHS officials say they are anticipating court challenges to any change. While the proposal does not include tax credits and other health benefits that were under consideration in previous drafts, immigrant advocates have raised concerns that the rule change will force families to forgo help to avoid jeopardizing their immigration status. But advocacy groups see the measure as one more attempt by the Trump administration to limit legal immigration and reduce the number of foreigners living in the United States. Census data show the foreign-born percentage of the U.S. population is at its highest level in more than a century, according to leading demographers. The changes, if adopted, would potentially affect those applying for immigration visas or those with temporary residency seeking to remain in the country. It would have little or no bearing on immigrants who entered the country illegally, but it could weigh on the cases of the more than 600,000 with Deferred Action for Childhood Arrival benefits if they file for permanent residency. According to previous draft versions of the proposal, citing U.S. government data, the foreign born population uses public benefits at virtually the same rate as native-born Americans. Out of the 41.5 million immigrants living in the United States, 3.7 percent received cash benefits in 2013, and 22.7 percent accepted noncash benefits including Medicaid, housing subsidies or home heating assistance, according to statistics compiled by U.S. Citizenship and Immigration Services. The percentages of native-born Americans who get the same forms of assistance are nearly identical. In 2015, 3.4 percent of 270 million nonimmigrant Americans received cash welfare payments, USCIS research found, and 22.1 percent received noncash subsidies. Concerns about public dependency were a significant factor in shaping the current U.S. immigration model’s emphasis on family reunification, and requirements that newcomers to have sponsors to assume financial responsibility for them. President Trump has disparaged such a system for facilitating what he calls “horrible chain migration” and wants to replace it with a more selective approach based on job skills. 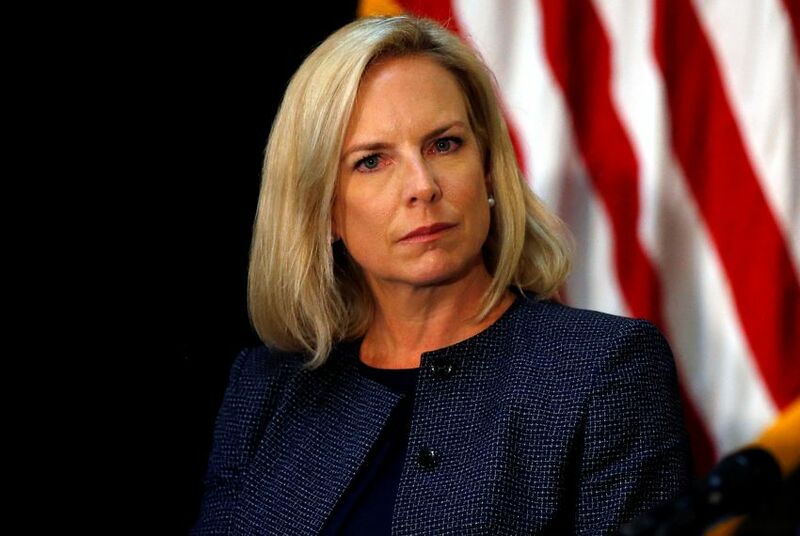 DHS said the changes contained in its 447-page proposal would primarily apply to those seeking to admission to the United States or foreigners who attempt to apply for some form of residency status. Certain categories of immigrants, including refugees, asylees, and Afghans and Iraqis with special immigrant visas would be exempted from the changes, according to DHS. Legal permanent residents (green card holders) who apply to naturalize as U.S. citizens would not be subject to the proposed changes. The agency estimates that about 382,000 immigrants per year would be subject to a more extensive review of their use of public benefits and potentially denied residency. The proposal would also allow some of those who are facing rejection to post cash bonds of $10,000 or more, and the bonds would have to be provided through a government-approved company. The immigrant would lose the money if they began using public assistance and were found to be a “public charge” on the United States, according to the proposal. Tracy Jan contributed to this story.